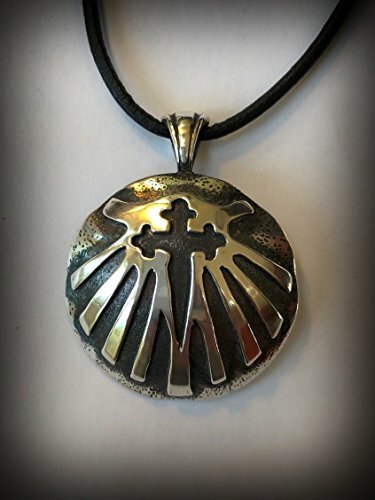 Handmade sterling silver concave shell pendant with Cross of St. James. The pendant is approximately 29mm (1") in circumference. The dark patina and polished silver accentuates the delicate cross. The necklace is on an adjustable double slider knot, "Greek" leather cord (16"-24"). I finished the Camino Norte this July and was inspired to create these when I got home. Makes a great gift for the future traveler or a wonderful remembrance for those that have been. If you have any questions about this product by Monument Moon Jewelry, contact us by completing and submitting the form below. If you are looking for a specif part number, please include it with your message.